The screenshots below are taken from EagleEyes for iPhone. There might be a few slight differences among the versions for iPhone, iPad, Android phones, and Android tablets, but the operations are basically the same. Teal This device is a DVR or NVR. Blue This device is an IP camera. Orange This device is an IP speed dome camera. Purple This device is a video server. Red This device is disconnected and unidentified. This device is configured to the Internet via EaZy Networking (AVTECH Cloud Service). The cloud icon will be grayed out if the EaZy server can’t be connected. You’ve shared the access right of the device with other cloud account via Buddy (AVTECH Cloud Service). The icon will be grayed out if you disable the device share. 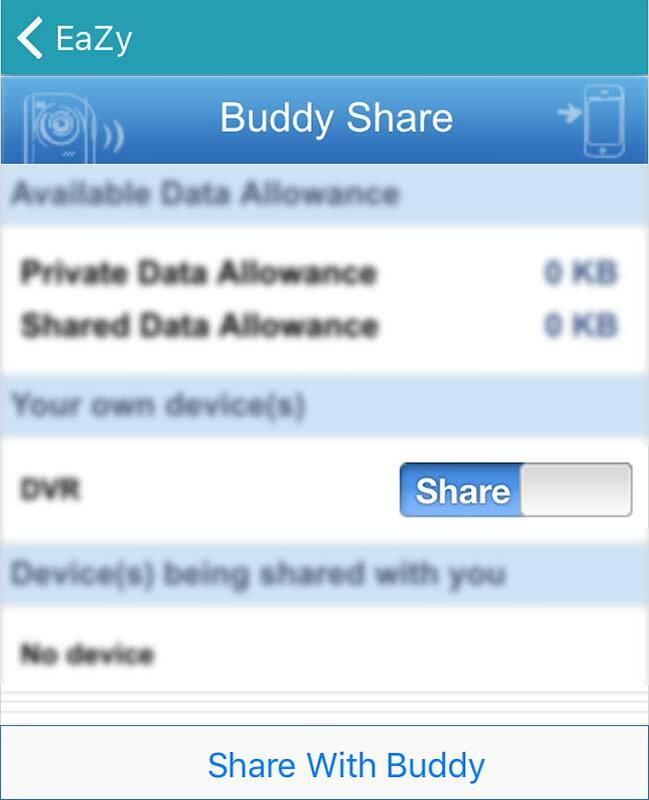 You’re shared with the access right of the device via Buddy (AVTECH Cloud Service). The icon will be grayed out if the device share is disabled by the owner of the device. This device is an IP camera. This device is connected to the Internet via EaZy Networking. You were shared with the access right of the device, but the device share is disabled now. 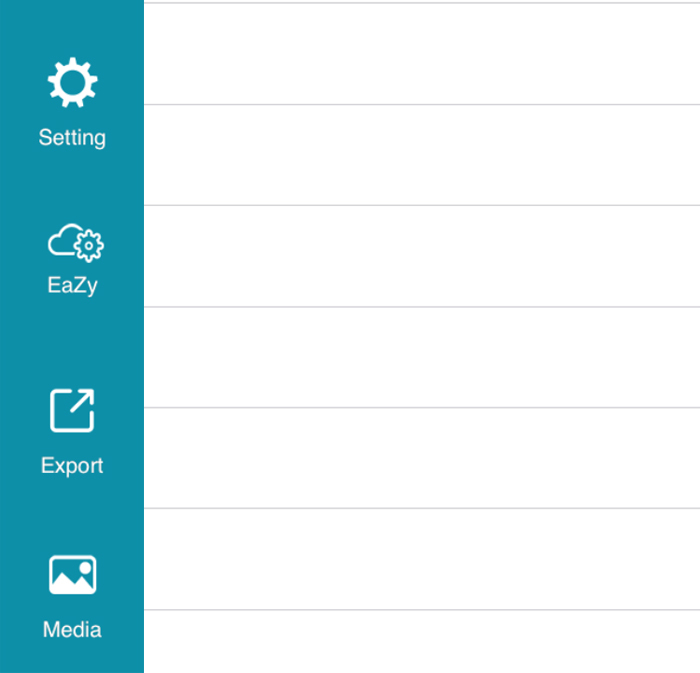 Tap ＋ to add a new device and you’ll see three options: EaZy, QR Code and Manual. EaZy and QR Code are the options for the AVTECH products which support EaZy Networking. 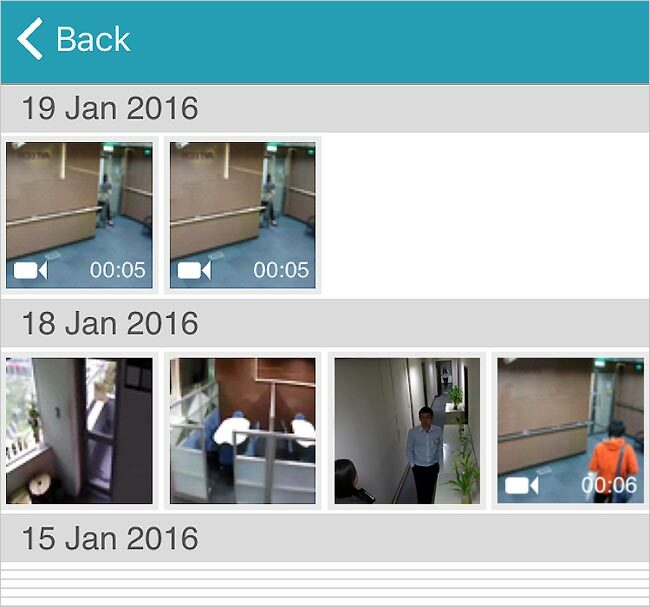 EaZy is used for both recorders and IP cameras while QR Code is used only for recorders. 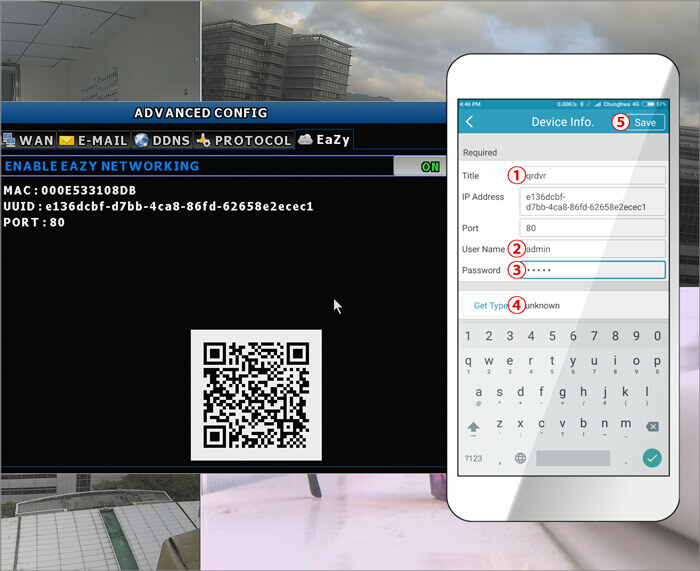 EaZy Networking is a free P2P cloud service to connect AVTECH devices to the Internet automatically by plug-and-play, enabling you to check the live view via your mobile device or laptop at anytime. When a device is configured to the internet via EaZy, the person who configures the device has the administrator permission of this device and also has the power to assign who can access the device remotely, by the web browser of Internet Explorer or the mobile app of EagleEyes. When a device is configured to the internet via QR Code, everyone has the right to access the device as long as he/she is able to scan the QR code of the device. However, he/she can only access the device via the mobile app of EagleEyes. Internet Explorer is not supported. 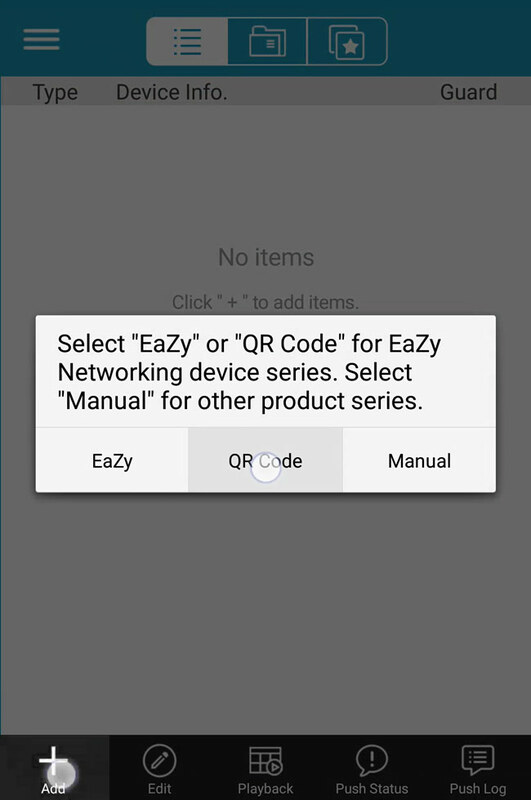 Please check the product specifications or check with your installer to know if your device supports EaZy Networking. Otherwise, please select Manual. Tap Add to add a new device. Then, tap EaZy if the device is configurable with EaZy Networking and you need the administration power for remote access. Select the device type you have, and follow the onscreen instructions to complete the network setup. Tap Add to add a new recorder. Then, tap QR Code if the recorder is configurable with EaZy Networking and you do not need any administration power for remote access. Scan the QR code shown on your recorder, and enter the title of this device and its user name and password. Make sure you see the device type when you tap Get Type. If not, the device is not connected properly. Then, Tap Apply to complete the process. 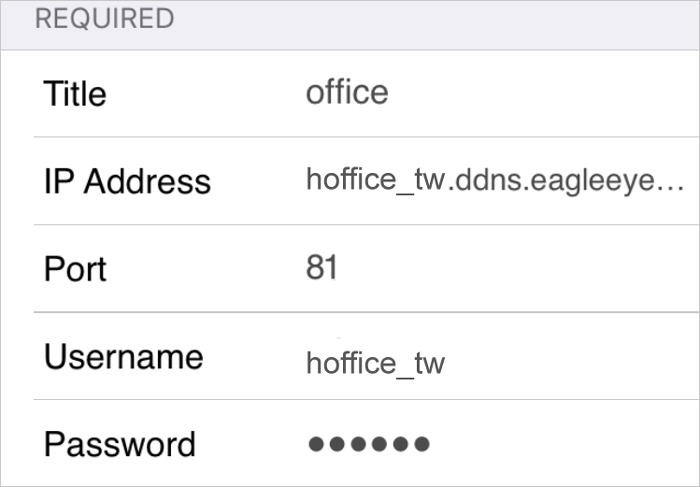 For the first time to connect your device to the internet, the default user name and password are both admin. If it’s been configured before, make sure you’ve known its current user name and password since they may be changed for security purpose. Please configure your device to the Internet first, and you have the access information in hand, i.e. IP address, port number, user name and password. 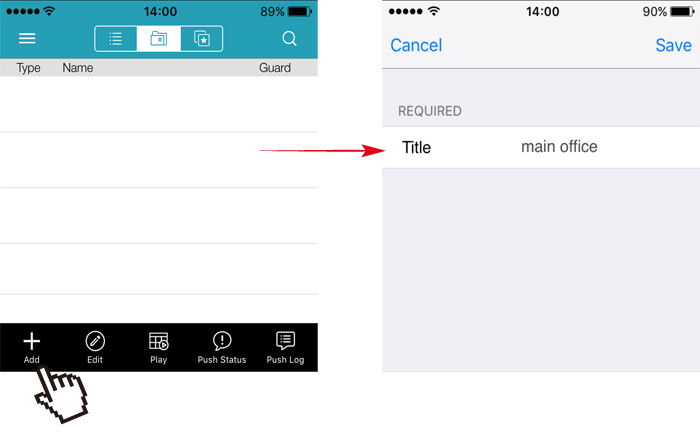 In the section of REQUIRED, fill in the information needed to access your device (IP Address / Port / Username / Password), and name your device in Title. Select Get Type to examine whether the information filled in is correct. If the information is correct, you’ll see the correct device type, and options suitable for this device will display in the section of OPTIONAL. Tap Save on the top right corner to save the return to the main page. BEST / HIGH / NORMAL / BASIC. Switch to display each channel title or not. Stream Choose the profile you configure in the IP camera you want. Stream Type Choose the video type you want: main stream / sub stream / recording stream. Single Channel Source Choose the video source when a single channel is selected: Sub Stream / Recording Stream. Local Network Search is used to search the IP address of your device assigned by your router in the same local network and add it to the address book. However, the access is available only in the LAN environment, meaning you’re unable to access the device when you leave the area. 2. To edit a device, tap the device you want to enter the edit page. 3. To change the order of each device, tap and hold to move. Note: This function is not available for EagleEyes Lite. Tap to go to the group page. Tap Add and select Group. Key in the title of the new folder, and tap Save to return to the group page. 1. Select the group folder you just created, and tap Add. 2. Choose Items to list all the current devices in the address book, and check the device(s) you’d like to add to the current folder. 3. When all the devices are selected, choose Add again to add and return to the group page. Note: The EagleEyes versions for iPad and Android tablets do not support this function. Tap to go to My Favorites page. This function allows users to specify a specific channel of a device to a group folder. up to 16 channels in a folder. When the folder is added and selected, users are able to see the channels specified in the folder in one view. 1. In REQUIRED, key in the title of the folder, and switch Channel Title on if you want to see the titles of the channels you’ve added. 2. 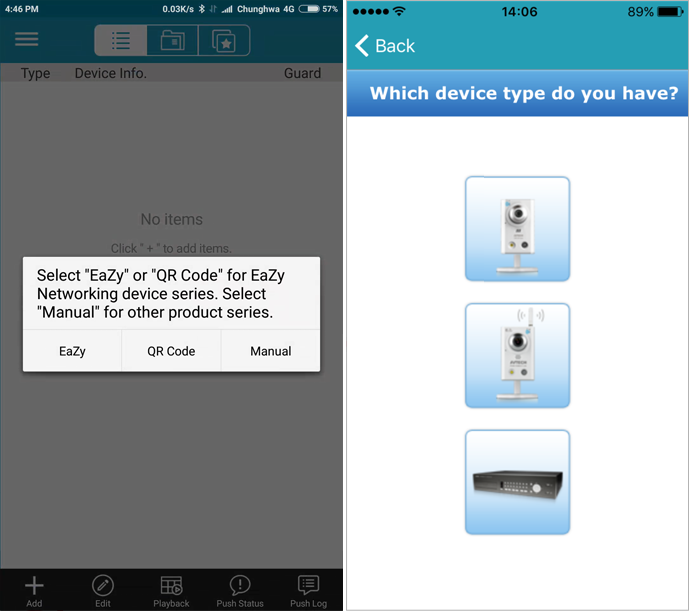 In Items, tap + to select a device from your current device list, and select the channel you want. Note: You might see the preview of each channel depending on the model you have. 3. Repeat Step2 till you’ve added all the channels you want to see (up to 16 channels), and tap Save to create the folder within which includes the channels you just selected. 4. 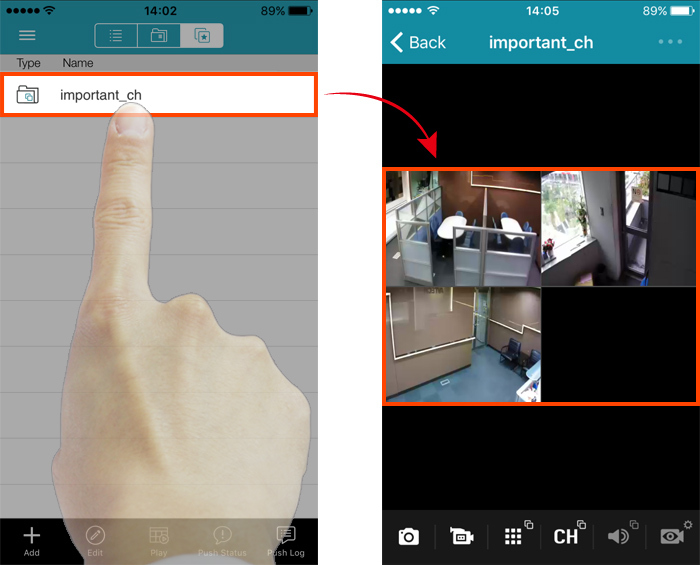 Directly tap the folder to see the live view of selected channels. 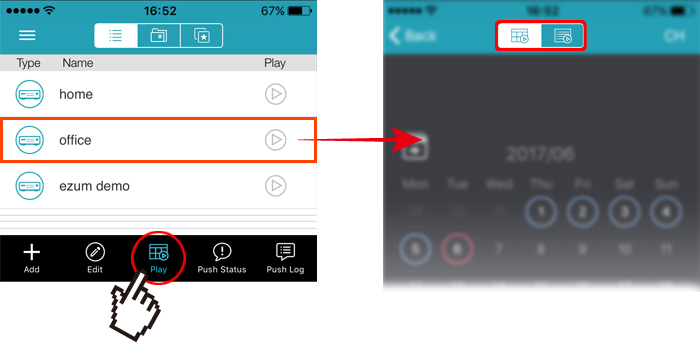 Choose Play and select a device from the list to enter the video search page by Calendar or Event. 1. 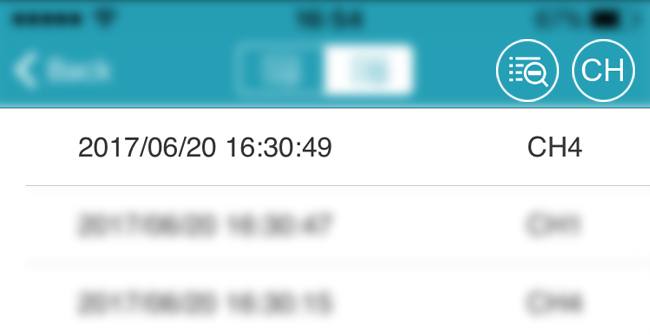 Select when you have footages recorded on the calendar view, and slide the time bar to search the time you want. 3. Tap Calendar to return to the calendar view, and tap to start playback. Note: When you select a single channel to see, you'll be able to edit the footage . To know more details, please refer to “Search & Backup by Event”. 2. To narrow down the list, select to specify the time and to specify the time and CH to specify the channel(s). 3. Select one log from the list to directly go to the playback view. 4. 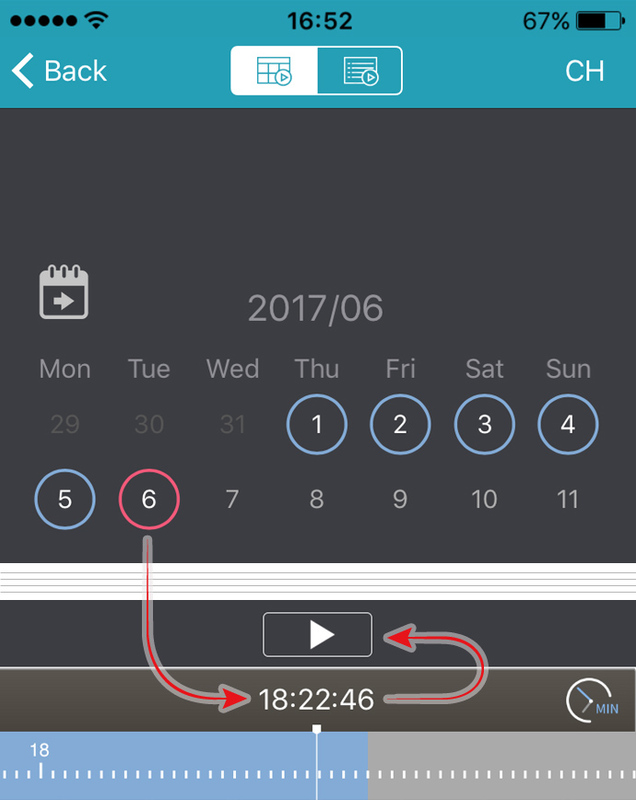 In the playback view, wait till the playback is over, and tap to enter the edit mode. Email Email Email this footage with the Email account saved in your device. 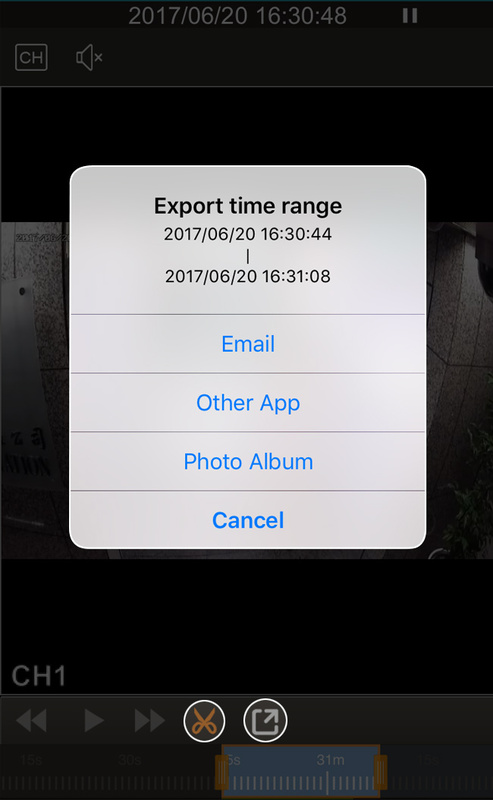 Other App Export Send this footage to an App which supports this function, for example, Google Drive. Save this footage to the album of your device. The footage could be found in the album of your device, and also in Media of EagleEyes. -- Save to device Save this footage to the download or microSD card folder in your device. Note: This function is available only for devices which support IVS features. In the live view, choose to see the statistics for inflow and outflow. For iPhone and Android phones, when your device is held vertically (portrait), you’ll see statistics; when your device is held horizontally (landscape), you’ll see bar graphics. For iPad and Android tablets, please switch between and on the top right corner of the IVS window. / Tap / to go to the previous / next year or month or day depending on the list you’re currently in now. 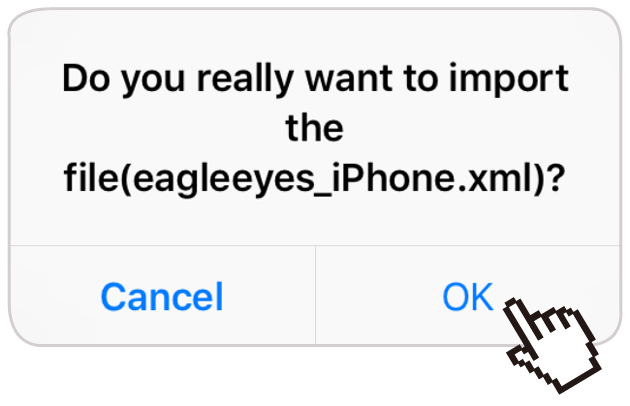 This function is used to export the device details saved in EagleEyes for backup, or you can import the information to another mobile device without configuring every device in EagleEyes. The exported file could be sent by Email or other APP which supports this function, for example, Google Drive. The exported file is in XML format. 1. Tap on the top left corner, and select to enter the device list. 2. Select the device(s) for which you want export the details, and choose Export to continue. 3. Rename the file of the exported file if needed, and choose Export. 4. Choose how to send the file: by Email or Other APP. 1. Go to where you saved the xml file, and tap the file to open it. - When Email is chosen, tap the attached xml file to open it, and tap on the top right corner to find EagleEyes to open. When Other APP is chosen, such as Google Drive, tap the xml file and choose EagleEyes to open it. 2. You’ll be prompted to import the device list file. Select OK to import. Tap on the top left corner, and choose . 2. 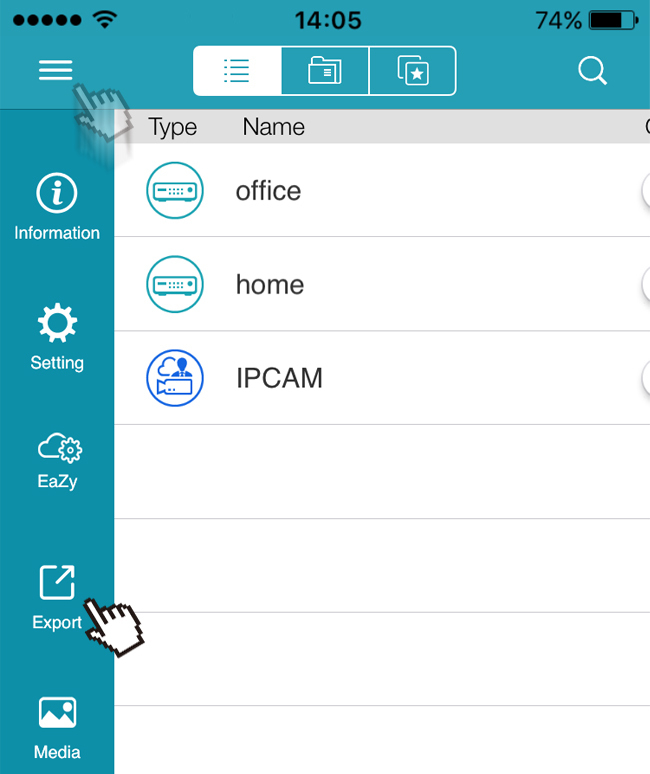 Browse to where you saved the exported xml file (in your mobile phone or tablet, or on the cloud service), and choose the file to import the device list. Note: If the xml file is saved on Google Drive, please move it to other cloud services, such as Dropbox, or directly saved it to your mobile phone or tablet because file import from Google Drive is not supported. - Configure AVTECH devices to Internet simply within a few steps when the devices support EaZy Networking. Note: To know details about network configurations, please refer to the user manual of your device. 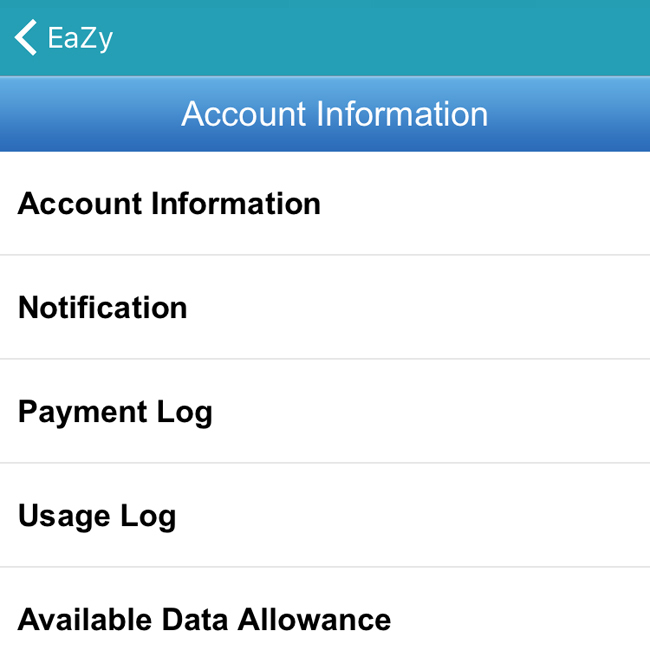 - Share the access right of your cloud device with other EaZy cloud account(s) (Buddy). - Speed up video transmission if needed by purchasing our data plan. This function is used to share the access right of your cloud device with other account(s). The account being shared with will automatically display your cloud device when it’s been logged into the EaZy cloud service. Note: One cloud device could be shared up to 30 cloud accounts, but the access to the device might be failed because it is still restricted to the maximum online user setup of the device. 1. Tap on the top left corner, and select to log into the cloud service. 2. Select Buddy to enter the Buddy Share list. You’ll see the devices you can share with other account(s), and the devices you’re shared with. 3. Tap Share With Buddy, and select a device you want to share. Then, choose Next. 4. Enter the account you want to share with, and choose Add to check if the account information is correct. Choose Add to add another account, or Next to the next step. 5. 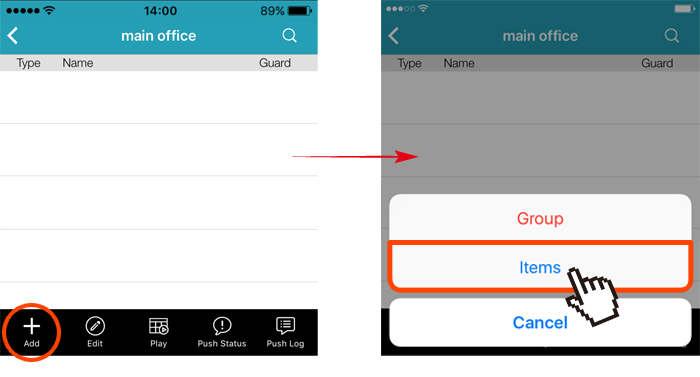 Configure the access right of the account to your device, and select Next. 6. Check if the information is correct, and select Share! to finish the process. In most cases, the device is connected via P2P. Connection via the relay server is only applied to some complex environments such as the private IP-based network environment used by a large enterprise. The usage time per plan is for reference only, and may vary based on the complexity of your actual monitoring area. 2. Select Details to check account information, including your purchase record and the usage record of data allowances. This folder is used to save snapshots taken by during live viewing, and video footages edited and saved to album by using in the playback mode. Note: To know how to edit a footage, please refer to “Search & Backup by Event”. Tap on the top left corner, and select to see snapshots and footages you’ve saved. Auto Login Turn on Auto Login, and you will be automatically logged in to the device you last used every time you open EagleEyes. Gesture Command	 Turn on Gesture Command to interact with EagleEyes using your fingers on the touch screen. PTZ Turbo PTZ Turbo commands the movement speed of cameras. On a scale of 1 to 5, 1 is slowest and 5 fastest. Alert Sound Turn on Alert Sound, and your device will sound an alert when any push messages received. Auto Lock When Auto Lock is on, iPhone locks if you don’t touch the screen for a minute or so.